This entry was posted in Provo Bike Week by Jamie. Bookmark the permalink. 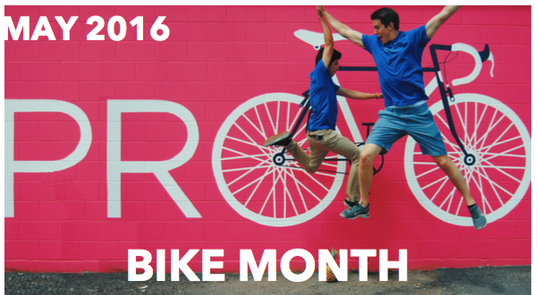 There is one more event that was not listed for Provo Bike Month. On Saturday, May 14 Utah County Bicycling is hosting a free timed bike ride on the Provo River Trail as part of the Uphill Cycling Series. The course starts at the trail head near Utah Lake State Park and goes all the way to the end at Vivian Park in Provo Canyon. There are various distance options to accommodate all cyclists no matter what skill or fitness level they have. Registration is at 8:30 am and the ride starts at 9:00 am. Prizes for every participant and division winners! See the Facebook group Uphill Cycling Series or the website http://uphillcyclingseries.blogspot.com/ for more details.